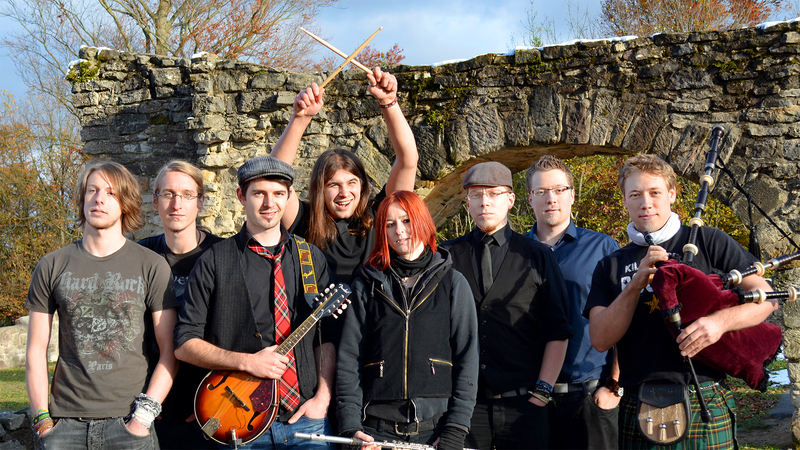 Bagpipes, Accordion, Tin Whistle, Mandolin… celtic-punk as it says on the tin! 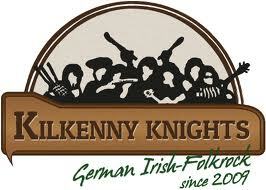 Formed back in 2009 in the town of Coburg in Bravaria in the south-east of Germany this small town has something other than inventing the hot dog to be famous for and that my friends is the latest in a long line of wonderful German celtic-punk bands The Kilkenny Knights! As I write this its just a few days since Kilkenny beat my team Tipperary (yet again) by just a point in the National Hurling League but I won’t let that get the better of me and how could I as the Knights play brilliant old-fashioned celtic-punk with a German folk twist combining to make a great first record from the Knights and one we can’t recommend enough. 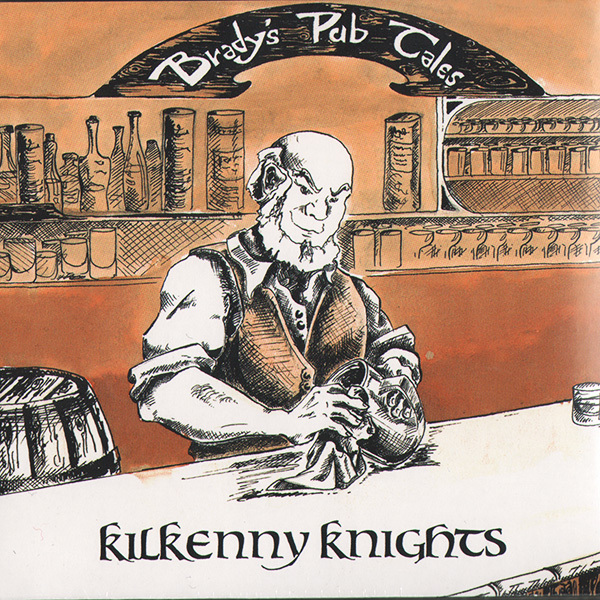 ‘Brady’s Pub Tales’ is the result and the band can be proud to have a produced an album full of first class songs that not only are all original Kilkenny Knights compositions but even with the CD clocking in at over 53 minutes and 14 songs never drags and just simply flies by. 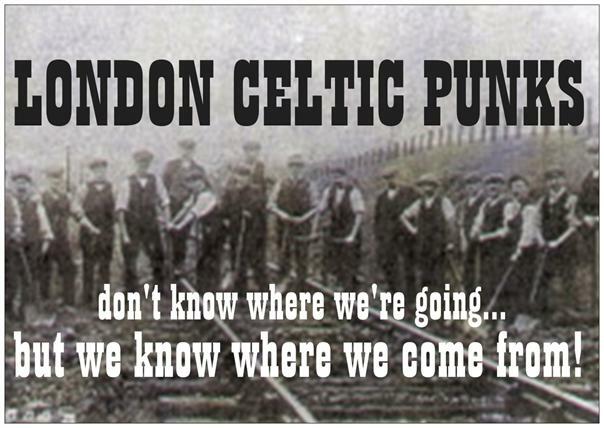 As is law, and we must obey!, in celtic-punk all new bands in the scene must be compared to the ‘Holy Trinity’ of celtic-punk bands The Dropkick Murphys, Flogging Molly and The Pogues. There’s definitely influences of the first two, more so The Murphy’s due to the bagpipes leading the way. Have to add a extra mention here for Wolfi’s bagpipe playing which is as good as I’ve heard on any celtic-punk album. but does a rebel only fight for his home? All the instruments are played with absolute gusto and are superbly played from the electric guitars and drums down to yer more traditional folk ones. ‘Adam The Hunter’ has probably the most German folk feel to it with flute leading the almost thrashy guitar. Followed by the stand out track for me, ‘Final Course’, a mid-paced song about a man who looks back on a fulfilled life setting sail for his final journey. Great tune and great lyrics with the accordion to the fore this time. ‘Wind In My Sails’ is a very clever song using metaphors a sailor would use to describe being in love. Lyrics on the album certainly deserve a special mention and it never ceases to amaze me that non-english speaking bands can write such amazing lyrics in english and the Knights are no exception. Every song is a wee story in itself. The CD comes with a lyric booklet but with everything sung so clearly by the band you’ll hardly need it. ‘A Drinkers Song’, extolling the virtues of drinking whiskey, jigs by as fast as anything and ‘O’Farrells Chest’ is a lovely ballad telling the story of how it’s possible to build a legend out of a little thing that might not be that important. 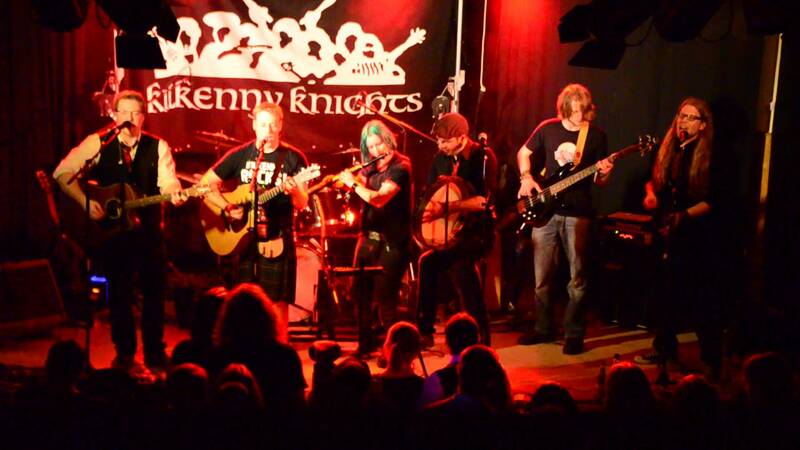 The album ends with The Kilkenny Knights anthem and the song they bring down the curtain with in their shows ‘Not A Friendly Farewell’ which tells the story of a pub fight interspersed with ‘Amazing Grace’ and ‘Auld Lang Syne’ and a great punk rock tune- (bravely the Knights admit to losing the fight!!). A really great release and hopefully The Kilkenny Knights will go on to bigger and better things and get the recognition this album certainly deserves. Jeez the list of bands I need to see is getting out of hand!